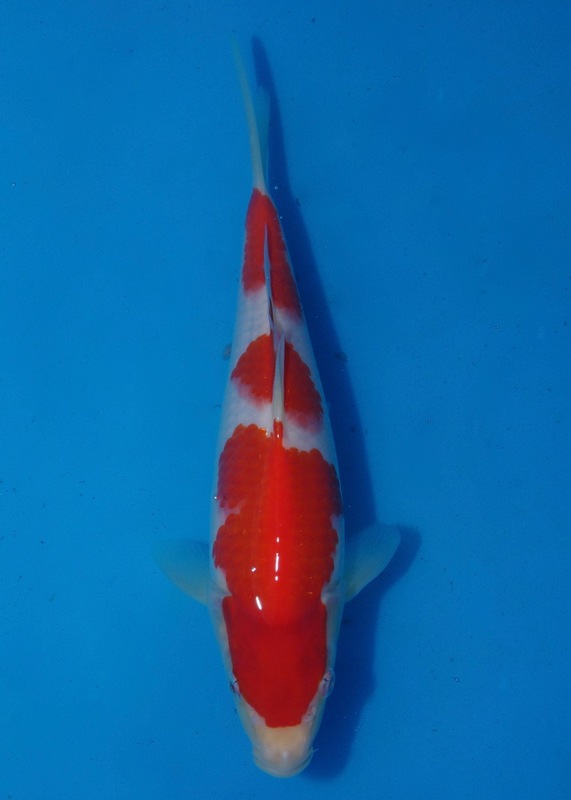 Home / Koi Show / BKKS National... awards! A very successful BKKS National for Adam Byer Koi a few weeks ago with two customers exhibiting Byer Kohaku's across sizes 1,2 & 3. 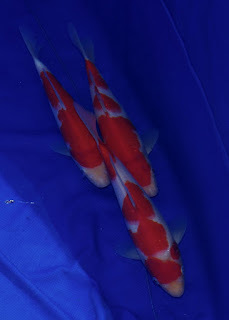 Against really tough competition in a large field, Paul Tinker won 1st and 2nd in size 1 kohaku and that was out of 9 koi! Andy Finch's size 2 and 3's looked fantastic in the vat, and showed off that distinctive red and white colouring that we are becoming known for. Watch for his Byer kohaku's next year! 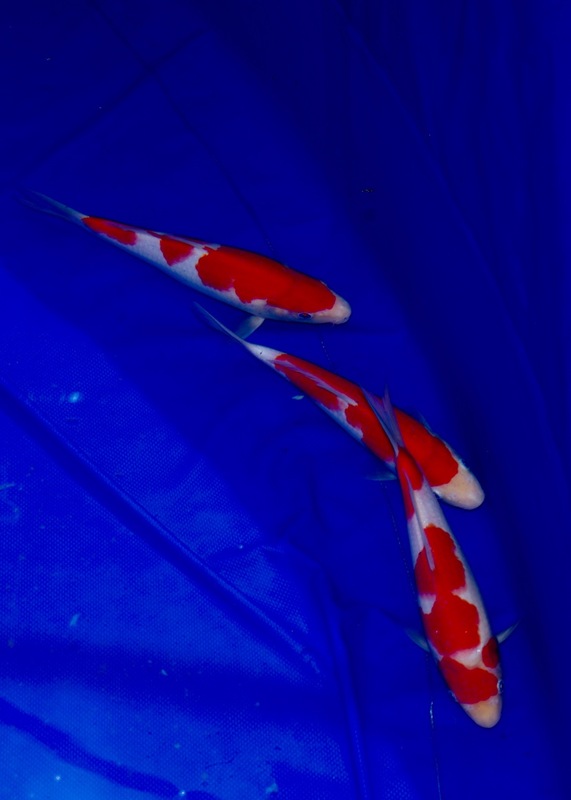 This lovely 3 step came 1st in size 1 kohaku! 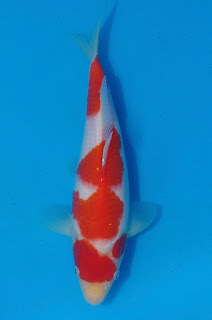 And this one, came 2nd in size 1 kohaku! It's been almost a month since my last blog post and I'm a bit behind in updating you all... we have been flat out this end. Basically, harvests, selections and spawnings. 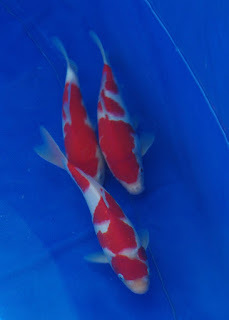 In short - both ponds have been harvested and we harvested the pool of showa babies too. 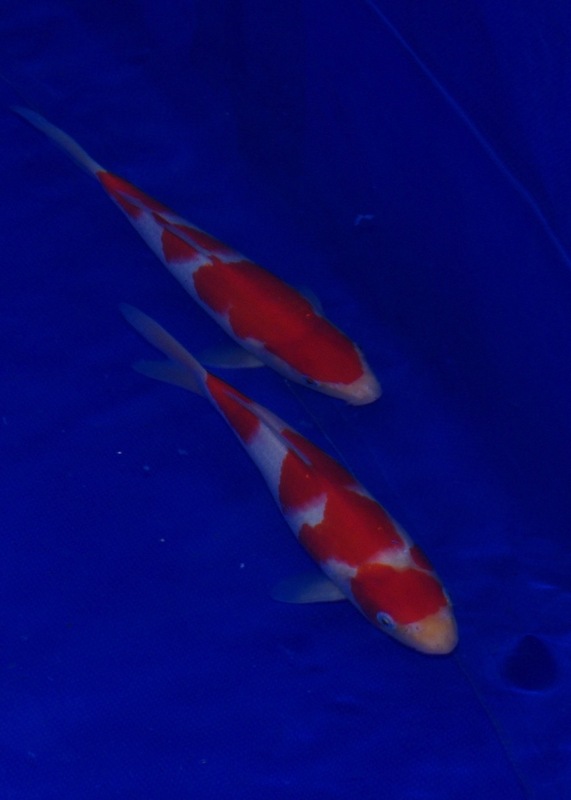 I've run new spawnings, and we've filled, cycled and introduced more kohaku into the top fry pond... this time from Marilyn our new kohaku female (ex All England GC)... The bottom pond is currently filling, and we are performing kuroku this weekend on a showa spawning that will take some of the space in the pond. And, the rest of the space will be taken by hatchlings from Lava Rosa, which I spawned with different males this year. Oh, and I almost forgot. 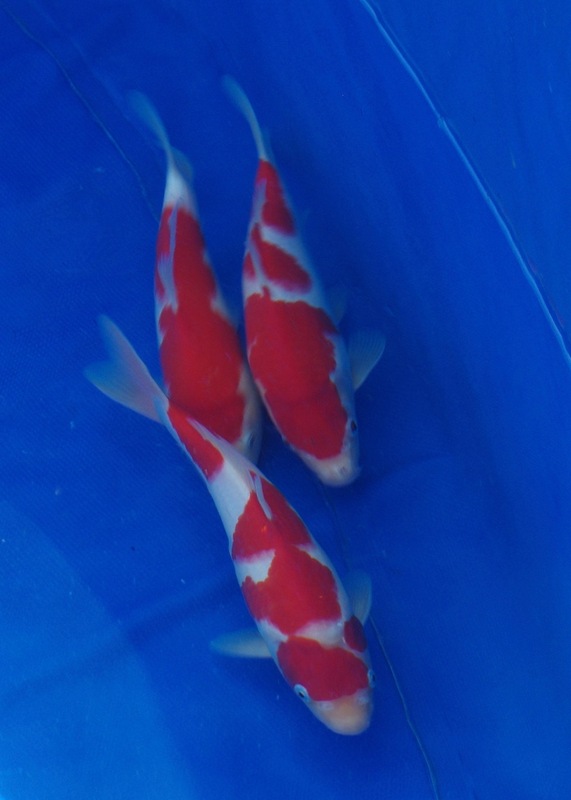 Our new growing on tanks are finally ready and I've been running them for a week to leak test them and last night I added some fish, again, as a test before introducing the kohaku keepers from the Sharkey spawning.